SYDNEY and KUALA LUMPUR , Jan 17 2018 (IPS) - The United Nations Agenda 2030 for the Sustainable Development Goals (SDGs) is being touted in financial circles as offering huge investment opportunities requiring trillions of dollars. In 67 low- and middle-income countries, achieving SDG 3 — healthy lives and well-being for all, at all ages — is estimated to require new investments increasing over time, from an initial $134 billion annually to $371 billion yearly by 2030, according to recent estimates by the World Health Organization (WHO) reported in The Lancet. Deprived of fiscal and aid resources, none of these governments can finance such investments alone. The United Nations Intergovernmental Committee of Experts on Sustainable Development Financing estimated in 2014 that annual global savings (both public and private sources) were around US$22 trillion, while global financial assets were around US$218 trillion. The third International Financing for Development Conference in Addis Ababa in mid-2015 recommended ‘blended finance’ as well as other public private partnerships (PPPs) to pool public and private resources and expertise to achieve the SDGs. Development finance institutions (DFIs), particularly the World Bank, are the main cheerleaders for these magic bullets. Sensing the new opportunity for mega profits, the private sector has embraced the SDGs. The World Economic Forum now actively promotes PPPs with DEVEX, a private-sector driven network of development experts. 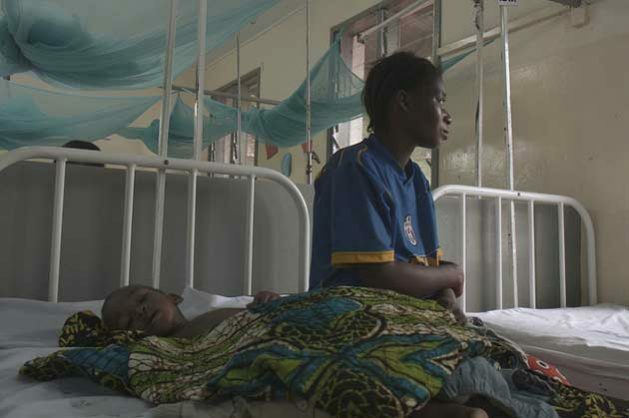 A recent DEVEX opinion claims that PPPs can unlock billions for health financing. It invokes some philanthropy driven global partnership success stories — such as the Global Alliance for Vaccine Initiatives (GAVI) and the Global Fund to Fight Aids, TB and Malaria — to claim that national level PPPs will have similar results. A managed equipment services (MES) arrangement with GE Healthcare in Kenya is also cited as a success story, ignoring criticisms. For example, Dr. Elly Nyaim, head of the Kenya Medical Association, has pointed out that MES has not addressed basic problems of Kenya’s health system, such as inappropriate training and non-payment of salaries to frontline health workers, encouraging emigration of well-trained health professionals to developed countries, further worsening Kenya’s already difficult health dilemmas. However, PPPs have a long and chequered history, especially in terms of ensuring access and equity, typically undermining the SDG’s overarching principle of “leaving no one behind”, including the SDG and WHO promise of universal health care. Also, partnerships with for-profit private entities have rarely yielded better fiscal outcomes, both in terms of finance and value for money (VfM). Misleading claims regarding benefits and costs have been invoked to justify PPPs. Most claimed benefits of health PPPs do not stand up to critical scrutiny. As a policy tool, they are a typically inferior option to respond to infrastructure shortfalls in the face of budgetary constraints by moving expenditures off-budget and transferring costs to future governments as well as consumers and taxpayers. Typically driven by political choices rather than real economic considerations, PPP incurred debt and risk are generally higher than for government borrowing and procurement. PPPs also appear to have limited innovation and raised transactions costs. PPP hospital building quality is not necessarily better, while facilities management services have generally reduced VfM compared to non-PPP hospitals. Underfunding and higher PPP costs lead to cuts in service provision to reduce deficits, harming public health. Healthcare PPPs in low- and middle-income countries have raised concerns about: competition with other health programmes for funding, causing inefficiencies and wasting resources; discrepancies in costs and benefits between partners typically favouring the private sector; incompatibility with national health strategies; poor government negotiating positions vis-à-vis powerful pharmaceutical and other healthcare service companies from donor countries. Rich and powerful private partners often reshape governmental and state-owned enterprise priorities and strategies, and redirect national health policies to better serve commercial interests and considerations. For example, relying on antiretroviral drugs from PPPs has resulted in conflicts with national authorities, generic suppliers and consumer interests, which have undermined health progress. Donor-funded PPPs are typically unsustainable, eventually harming national health strategies, policies, capacities and capabilities. PPPs may divert domestic resources from national priorities, and thus undermine public health due to financial constraints they cause. Such redirection of investment exacerbates health disparities, adversely affecting vulnerable groups. Health workers often prefer to work for better funded foreign programmes, undermining the public sector. PPPs can thus lead governments to abdicate their responsibilities for promoting and protecting citizens’ health. Partnership arrangements with the private sector are not subject to public oversight. Therefore, selecting private partners, setting targets and formulating operating guidelines are not transparent, they only aid in creating more scope for corruption. PPPs are certainly not magic bullets to achieve the SDGs. While PPPs can mobilize private finance, this can also be achieved at lower cost through government borrowing. Instead of uncritically promoting blended finance and PPPs, the international community should provide capacity building support to developing countries to safeguard the public interest, especially equity, access and public health, to ensure that no one is left behind.